JNN 02 June 2014 KARACHI: The Majlis-i-Wahdat-i-Muslimeen (MWM) as Per announced Schedule on Sunday took out a Protest Rally against Shia Target Killing across Pakistan , and especially in Karachi . The Protest Rally which was destined to CM House to lodge their Protest with the Provicial Government Chief Executive , when reached near Shaheen Complex \ police restricted demonstrators from marching towards the Chief Minister’s House. A large number of members of the Shia community, including women and children, were present at the demonstration just outside the city’s Red Zone, which had been sealed shut with large shipping containers and barbed wires. A large number of police was present inside the Red Zone to prevent any untoward incident. 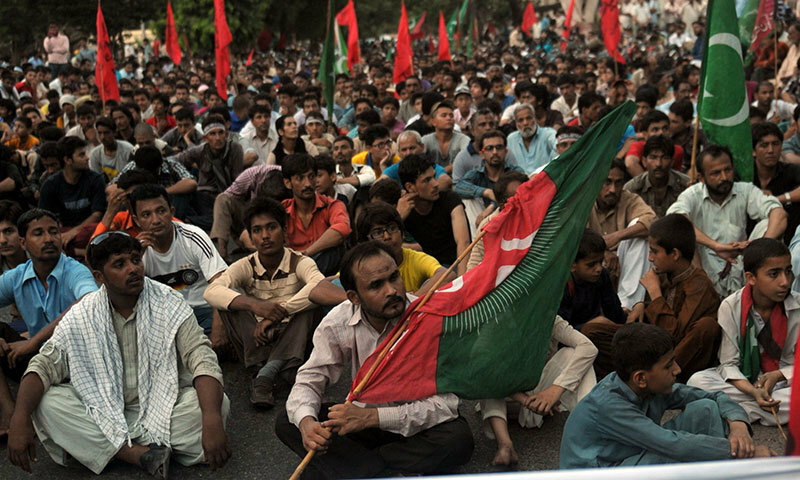 The MWM had previously announced that it would stage the rally and sit-in in front of Chief Minister’s House on Sunday in what it described as the second phase of its protest against unending killings on sectarian grounds. However, protestors were restricted from marching towards the CM House. Demonstrators raised slogans against the killings and demanded that the killers be arrested and punished. “We will go to the Chief Minister’s House and will present our demands only there,” said MWM leader Maulana Amin Shaheedi. After the Protest Rally Participants were restricted from entering the Red Zone , as the Authorities didn’t permit the rally to reach its destination , CM House , the Rally Participants which includes Ladies , Children and a Large Number of Men and Young People , staged a Protest Sit Infront of the Shaheen Complex. However on another Invitation to the MWM Team from the Provincial Government Commite , a 4 Member Committee went for Negotiations , to the Commissioner House , but even after 3 Hours of Negotiations , the Negotiation failed , as the Prime demand of the MWM team was that the Protest Rally should be allowed to Proceed till the CM House , which was turned Down . Till the filing of this Report around 4.30a.m , the MWM Leadership was in consultation with the Participants of the Rally , for the Next Line of Action , As they want to Proceed and if Yes then what should be the Strategy . The MWM condemned 35-year-old Ghulam Abbas Naqvi’s Martyrdom and blamed law-enforcement agencies for the recent upsurge in sectarian attacks. According to Human Rights Watch, more than 400 members of the Shia community were killed in targeted attacks across the country last year. This entry was posted in Asia Pacific, Pakistan News and tagged MWM, Numaish Chowrangi, protest rally, Protest Sit in, Shaheen Complex, shia Target Killing, Supreme Court Karachi Registry. Bookmark the permalink.